If you grew up in Boston in the 80s and early 90s, then you are likely very familiar with Ricky Bell, Michael Bivins, and Ronnie DeVoe -- the trio from Roxbury who began their musical careers in the group New Edition, and later went on to form Bell Biv DeVoe. 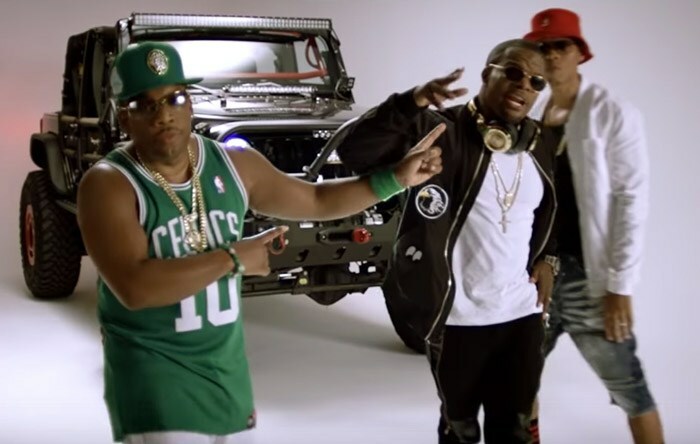 BBD will be in the house tonight at the Boston Celtics - Cleveland Cavaliers season opener to perform at halftime, which left many scratching their heads as to why Cleveland selected a Boston band as tonight's entertainment, especially one that tends to wear Celtics gear in their album covers and music videos (such as the screen cap above from their recent hit, "Run"). Bell Biv DeVoe to perform at half of opener in Cleveland. Do Cavs realize they're from Boston? To quote from big hit Poison: "Now you know." In addition, Bell Biv DeVoe has performed in the past on the home courts of other NBA teams such as the Washington Wizards, the Philadelphia 76ers, and the Minnesota Timberwolves. But their hearts (and wardrobes) are always with their hometown team.